Den Ekologiska Teatern invites you to their first event. 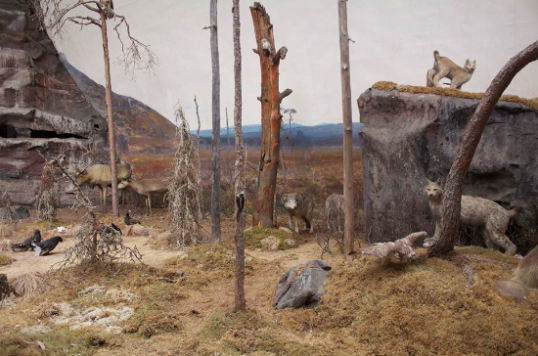 “Biologiska museet som jakttrofé och dess framtida nytta och nöje” (The Biological Museum as hunting trophy, and its future purpose and pleasure). An artistic, scientific and exploring conversation about the Biological Museum as a place and expression, with the professors Anders Ekström and Sverker Sörlin. More info on the talk in Swedish. 27 May 6-8pm “Mellan Lagren” (In between the layers), The opening of the Ecological theater’s interactive sound installation. The sound installation runs 28 May-31 August.